Geography is considered one of the world’s oldest disciplines. It was first defined and formally established by Eratosthenes in 250 BC and has a rich tradition of scholarship extending from 2,000 years ago to the present. As a scientific discipline, geography has always embraced new technologies, research practices, instructional methods, skills, and content. 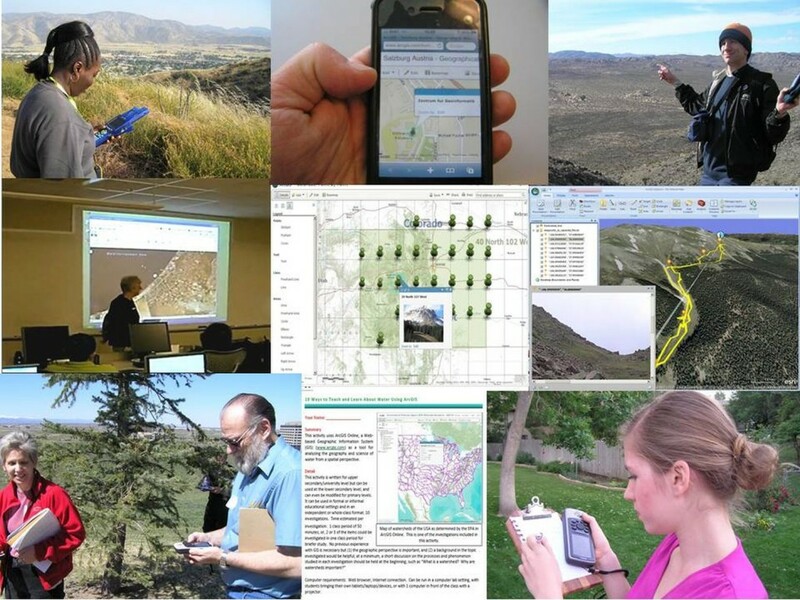 Teaching geography in the 21st Century includes working with mobile and online mapping tools, in addition to traditional focuses such as physical and cultural geography, fieldwork, and understanding landscapes. The challenge for geography teachers today is how to teach the subject effectively in the twenty-first century while remaining true to its rich heritage and embracing emerging and exciting tools and perspectives. Teaching geography is about leading students to an understanding of today’s challenges including population, land-use, urban, economic, and health issues and natural hazards. Teaching geography effectively in the twenty-first century requires a focus on scale, systems thinking (such as climate, watersheds, and energy systems), and critical thinking. This is best accomplished through an inquiry-driven, hands-on, problem-based format that uses technological tools to teach conceptual foundations, skills, and geographic perspectives. Rural, Urban, Economic, Land-Use, and Population Issues. To better understand and more effectively teach these issues requires a grounding in population dynamics (including such concepts as settlement, age, birthrate, growth rate, and human-environment interaction), land use (such as zoning and land-use practices), urban development (such as historical and current development of cities, site versus situation, and challenges facing cities), economic geography (including industrialization, energy, employment, and measures of development), and physical geography processes (watersheds, landform dynamics, and natural hazards). Core Geography Themes. Embedded in studying these issues are core geography themes such as considerations of scale in patterns and processes; interpreting maps and analyzing geospatial data; understanding and explaining the implications of associations, networks, and interconnections among phenomena in places; defining regions and the regionalization process; establishing a sense of place; and understanding the nature and limitations of geographic data. Spatial Perspectives and Tools. The spatial perspective is critical to understanding geographic content and processes. Being competent and confident in the application of the spatial perspective to geographic understanding enhances and strengthens our ability to communicate about and teach human geography. A number of powerful web mapping and related tools such as ArcGIS Online (arcgis.com) and story maps (storymaps.arcgis.com) are now available for the geography instructor, and building familiarity and confidence in using these tools is best done through hands-on activities. To gain these foundations and skills, a number of options are available, such as the Teaching Geography in the Twenty-First Century online course that I offer periodically (https://www.youtube.com/watch?v=C7e6IN5IWW4), the online Elmhurst College certificate program in AP Human Geography (http://public.elmhurst.edu/admission/school_for_professional_studies/certificate_programs/ap_human_geography), the essays we write every few days that are focused on teaching with GIS (http://edcommunity.esri.com/blog), and the hands-on workshops we teach at conferences such as the Association of American Geographers, the National Council for Geographic Education, the National Council for the Social Studies, and our own Esri Education GIS Conference. A geospatially literate population is the goal of teaching geography in the twenty-first century. Such a population is better equipped to recognize, understand, and resolve those critical issues, whether local or global, that will confront us today and in the future.